The Transcontinental Rum Line is a series of rums bottled by the French La Maison du Whisky. Small batch and single cask releases partially matured in the Caribbean and partially matured in Europe. 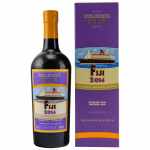 The Transcontinental Rum Line Barbados 2012 is a 5 year old rum from Barbados bottled in the Tran..
De Transcontinental Rum Line Fiji 2014 is een jonge Fiji rum gebotteld in de Transcontinental Rum..
Transcontinental Rum Line Guadeloupe 2013 Batch 2 is a 3 year old rum from Guadeloupe bottled in .. 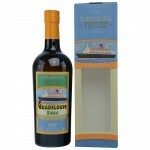 The Transcontinental Rum Line Jamaica WP 2012 is a 5 year old rum from Jamaica bottled in the Tra.. 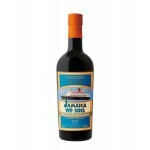 The Transcontinental Rum Line Panam 2008 Cask Strength is a 10 year old Panamese rum bottled in t.. 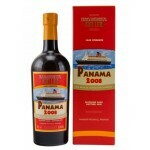 The Transcontinental Rum Line Panama 2010 Batch 2 is an over 6 years old Panamese rum bottled in .. The Transcontinental Rum Line Panama 2010 Batch an over 6 years old Panamese rum bottled in the T..